Franzis HDR Projects 4 is worth getting & installing — if you can afford it, IMHO buying the current version 5 is worth it too. The last version I have from a giveaway is 3 Pro, so I’ll be installing this next to that version, in case there’s something in the Pro that I need for a future project. Franzis has become well known enough that you can start to find pro site & magazine reviews. I think their HDR app, like most of their software, is considered Very Good, with the most common complaint being that their GUI or interface is harder to navigate & use than some of the competition. When I install Franzis software I put a copy of the plug-ins in the program’s folder — with some image editing apps it works better to put a shortcut to those filters in the editing app’s plug-in folder, rather than the plug-in itself. High Dynamic Range (HDR) is a technique used in imaging and photography to reproduce a greater dynamic range of luminosity than is possible with standard digital imaging or photographic techniques. Using this technique, one can combine multiple exposures to create an image with a wider tonal range and enhanced details. HDR Projects 4 is an image editing application designed to help all types of users from novices to advanced, edit and improve their images to make them look better. This application works great as both a standalone software for beginners, or a Photoshop or Lightroom plugin for more advanced photo editors. You have to download the zip file of size ~70MB, as it contains the installer. The installation process is simple and straightforward, taking no time at all to complete. The installer has a built-in registration and activation. You need to enter the user id and registration, in order to continue with the installation process. Once done, it does not take much time for installation to end, and before the application starts, it asks you to enter the registration once again. Once done, the application is launched ready for use. During the installation process, the installer automatically detects for Photoshop or Lightroom in your PC. If these applications are present, the installer installs the necessary files and plugins, so this application can work as a plugin for Photoshop or Lightroom. The application comes with a clean and intuitive UI, where everything is well organized and easy to navigate to. There’s a menu bar on the top with usual drop down menus, followed by a toolsbar that contains buttons to important functions and features. The large viewing area takes up most of the UI in the middle, with other tools and editing boxes on both sides. There are many settings and editing options on the sides like HDR algorithms, effects, Light effect, filter, and more. Moreover, you can perform RAW processing to on RAW images, and adjust their White balance, color, detail, distortion etc. The UI style and color of the application can be changed to any color you want. – Clean and Easy to use UI, designed for all types of users. – Ultra HDR technology for the merger of the exposure range images. – Maximum of 19 images in an exposure series. – RAW mode for RAW camera image processing. – Can be used as standalone tool or as a plugin with Photoshop and Lightroom. – Applications for both Windows and Mac OS PCs. 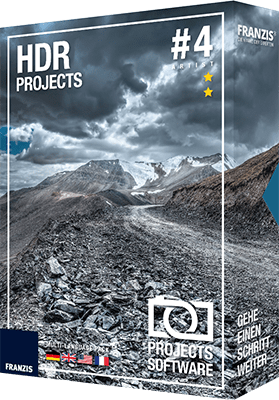 HDR Projects 4 comes packed with a features and tools for a great price. It contains many different presets that are ready to use, and make the job easier for novice users. Once you get used to the tools and features that this application has to offer, you can perform wonders with it. The application runs smoothly, without any lag or crashes. It is definitely recommended. Free HDR Project 3 is an amazing application that will not only help you get the best out of your photos but also ensure that you achieve high quality modifications at the single click of a button. The preinstalled presets are not only functional but also practical. Couple this with the ability to integrate Free HDR Project 3 into other photo editing software like Photoshop and you get the ultimate tool for both professionals and regular enthusiasts. The application bristles with additional tools that will help you handle most of the photo optimization jobs you need to give your images that vivid and vibrant look. This will vary from an array of powerful HDR algorithms that will automatically take care of the adjustments to a HDR painting module that will let you give the colors finishing touches. The best way to editing your photos is to modifying the in their RAW format. HDR Project 3 has you covered with its RAW edit mode. Furthermore, the mode has nine important options that will let you interact directly with things from white balance to color, the palette and balance features. The application will work well with other photo editing software. I am a Photoshop enthusiast. It took me no time to integrate and begin using the power of HDR Project 3 onto Photoshop. I have to admit that it automates a lot of things that I had to do manually with Photoshop. You will know how useful and lovable bulk-editing can be especially if you intend to apply similar settings to multiple photos as fast as possible. I didn’t find any bulk edit feature or export settings options on HDR Projects 3. This is quite the letdown. This is an amazing addition to your photo editing gallery. It will help you churn professional looking photos without having to toy with or master multiple complex photo editing tricks on other pieces of software. I highly recommend them.